Leicester City are being tipped as the next destination for Manchester United want-away midfielder Marouane Fellaini who would be out of contract by the end of the season. The former Everton star is currently getting attention from numerous clubs including Paris St-German, West Ham, Besiktas, Fenerbahce, AS Monaco and Juventus but reports suggest that the Foxes are leading the race for the 30-year-old midfielder. 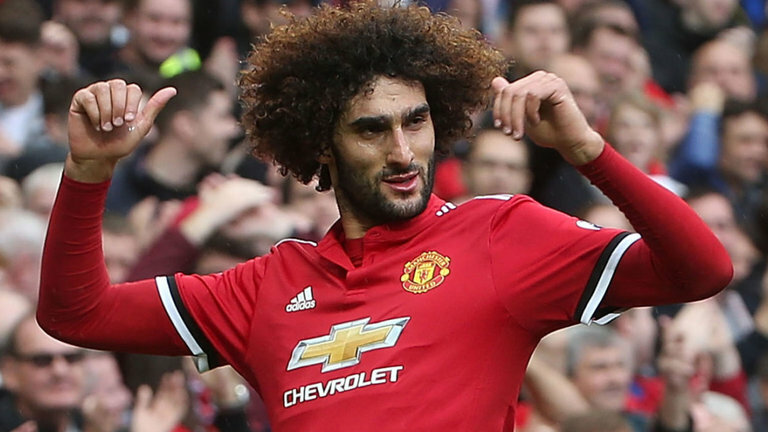 Fellaini has endured a torrid season with the Red Devils this season as he has appeared in just 21 matches in all competitions, scoring four goals and a single assist. According to reports emerging from Old Trafford and the King Power Stadium, the Belgian international might join the Foxes on a free transfer but it remains unclear why Claude Puel is making a move to sign the holding midfielder despite having many options for the position. Though the addition of Fellaini to the former Premier Champions will surely add more quality to the team at the centre of the pitch, the former Southampton manager should be concerned on improving his team’s attacking prowess as they found it difficult to create much goalscoring opportunities throughout this campaign. With Wilfred Ndidi, Adrien Silva, Vicente Ibarra, and Matty James still vying for a place in Puel’s starting lineup, Fellaini’s reported move to Leicester city could turn out to be a bad option for the Belgian.